Our sumptuous signature Portals Hills Wellness Lounge allows you to unwind and disconnect in the most delightfully decadent of settings. From deep tissue massages to organic facials and luscious body scrubs to slimming wraps, our well trained beauticians and therapists are here to pamper and preen. For a more holistic approach to health, highly qualified physiotherapists will offer support to suit your body’s needs. The beautiful treatment rooms at Portals Hills Wellness Lounge invite you to relax and linger, whilst our discreet outdoor Wellness Pavilion at the pool allows you to enjoy your session al fresco. For ultimate privacy, we will come to you for an in-room service. Rest assured, we hold your wellbeing as our priority. For skincare we dip just south of Miami to the Caribbean for the exclusive Ligne St Barth indulgence programme. This luxurious range of high-quality face and body care products and sun protection contains only natural ingredients which are grown in the French Antilles and processed according to strict cosmetic standards - avocado, mango, passion fruit, lilies, Tiare flowers, melon, pineapple and the renowned red Roucou seeds. 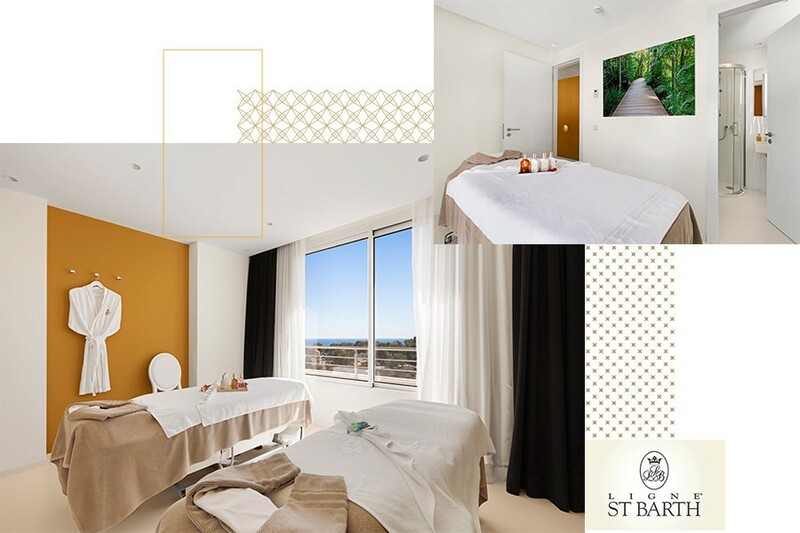 The Ligne St Barth effect stimulates cell activation, protects the skin and provides a fresh, relaxed and youthful appearance via a therapeutic sensory experience – what more could you want?